During the month of October, students and faculty at Division Avenue High School devoted both time and effort in bringing awareness to breast cancer through a variety of breast cancer awareness festivities. Due to their hard work and generosity, the school community raised a total of $5,162.35 for the United Breast Cancer Foundation and $2,600 for the Side-Out Foundation for breast cancer research. Both non-profit organizations, the United Breast Cancer Foundation provides grants to hospitals, health centers and patients battling breast cancer and their families, while the Side-Out Foundation works with the volleyball community to raise funds for stage 4 breast cancer research and provides care to patients. The school’s breast cancer awareness festivities began on Oct. 1 as faculty members participated in a “Feed the Cause” luncheon. Administrators and staff brought in homemade food and charged $5 a plate to staff members, with all proceeds going to the United Breast Cancer Foundation. Raising awareness was also evident in the classrooms. Members of Adelphi University’s Sisters United in Health visited the school to present to health classes. They spoke about breast cancer, skin cancer and testicular cancer and prepared interactive games outside the cafeterias, educating students on the diseases. Throughout the month, everyone was encouraged to wear pink on Mondays. If students wore pink, they could enter a raffle during their lunch periods to win a prize. The school also hosted numerous athletic fundraisers toward the cause. 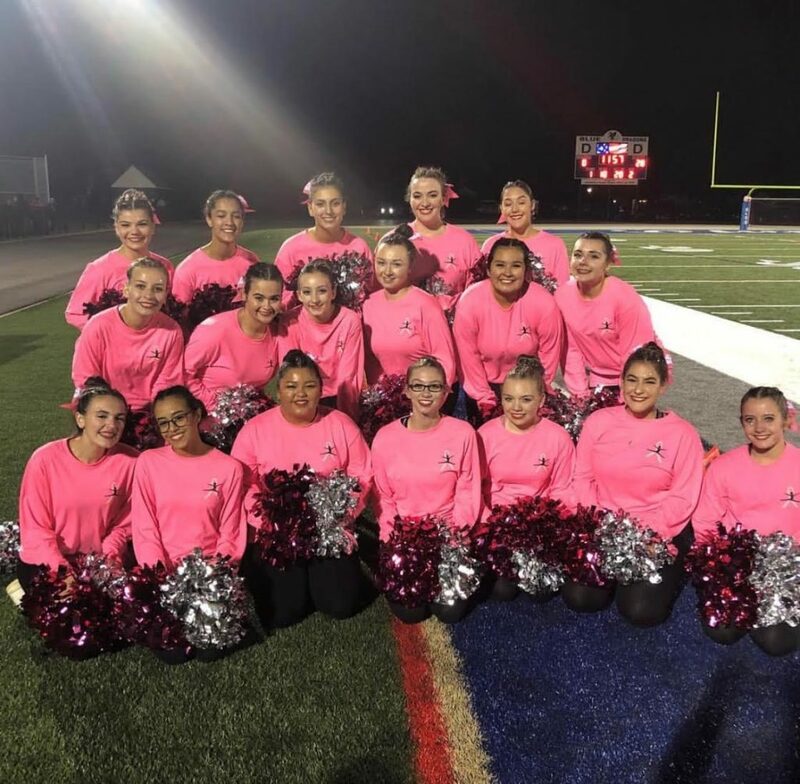 The community gathered to support the Pink Out Football Game, coordinated by Cristen Ronzo, Liz Lynch and the Division Avenue High School Cheerleaders. Many of the school’s clubs and teams set up tables to sell snacks, baskets and gift raffles. They also provided information to spectators regarding breast cancer awareness and research. A popular event at this game was throwing pie in the faces of the school’s faculty for $10 a pie. Among the brave faculty were Principal John Coscia, Assistant Principals Jackie Guidice and Sam McElroy and teachers, including Kelly Glenn and Nicole Negron. All proceeds were donated to the United Breast Cancer Foundation. Students and faculty members continued their awareness mission with their Spirit Night Knock Out Event. Students and teachers united for a basketball knock out tournament, organized by faculty members Lynn Castellano and Gerard Marzigliano. There was a $15 participation fee for staff with all proceeds being donated to the United Breast Cancer Foundation. Together, the Division Avenue High School community raised $1,689 through the event. 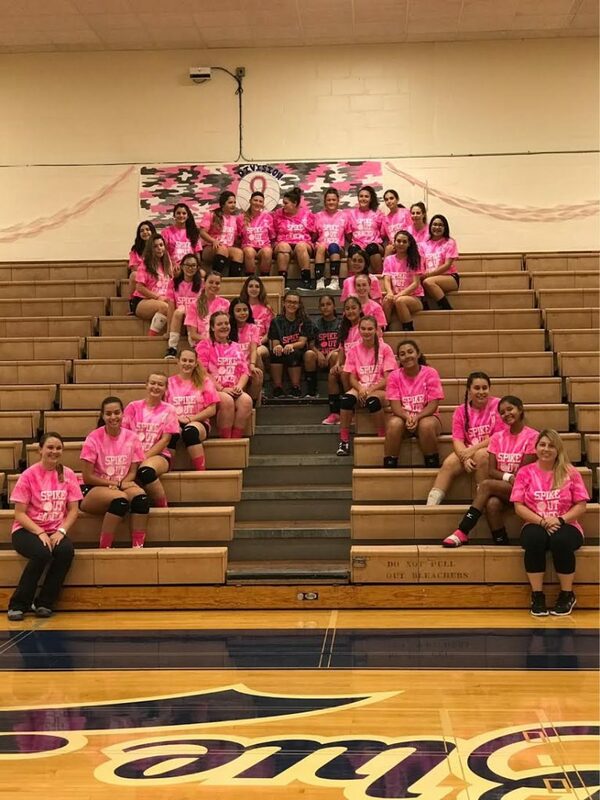 In addition, the school hosted a Dig Pink Volleyball Rally organized by the Division Avenue High School Volleyball Booster Club. While the varsity and junior varsity teams played their respective games, a raffle basket auction was held to support the Side-Out Foundation. The school raised $2,600 through this event for breast cancer research. The month of giving and awareness was due to the hard work and dedication of the school’s Breast Cancer Awareness committee. The committee consisted of members Kim Dobres, Kelly Glenn, Melanie Murphy, Stacy Roth and Denise Walsh. With their guidance, students and faculty had the opportunity to fully support those who have survived the disease, are still battling and who have lost their lives to breast cancer.